Figure 1. 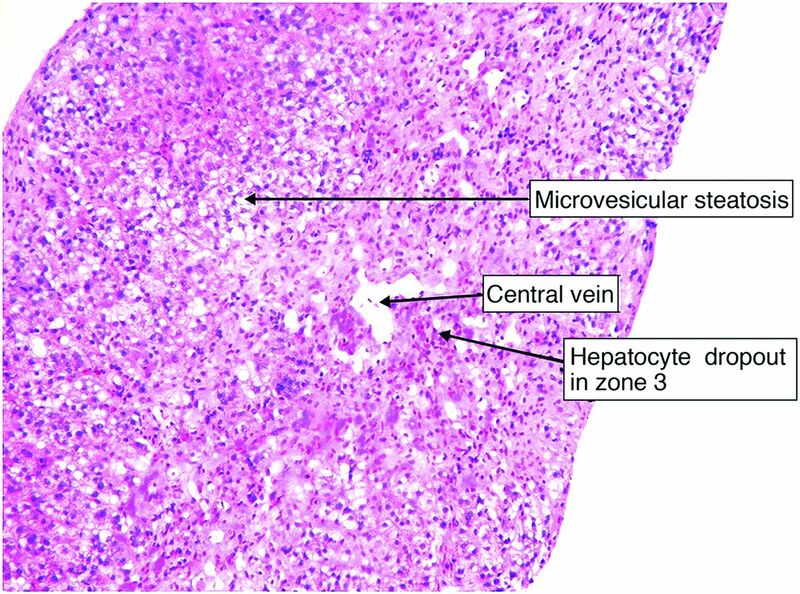 Prominent microvesicular steatosis with zone 3 hepatocyte dropout and paucity of inflammatory cells (magnification 20 × ). Figure 2. 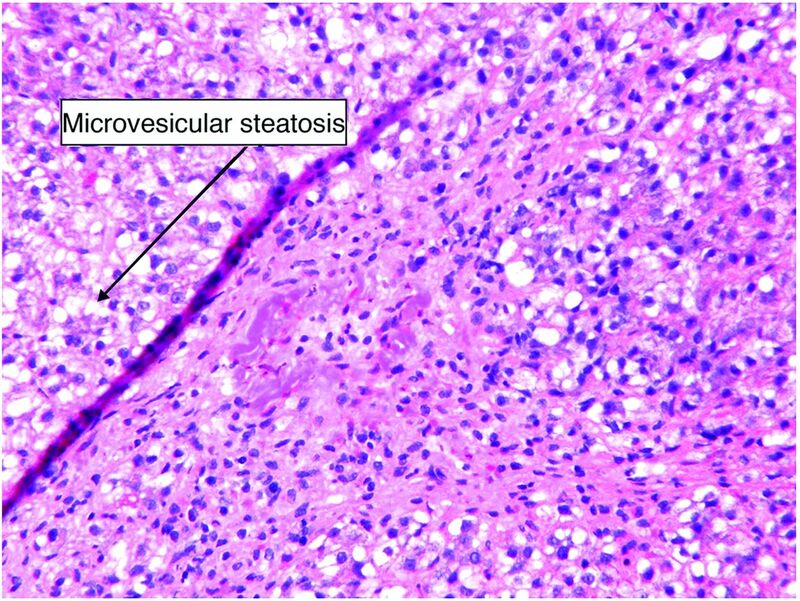 A closer look at microvesicular steatosis (magnification 40 × ).